Signarama of Troy has recently largely expanded our engraving division. 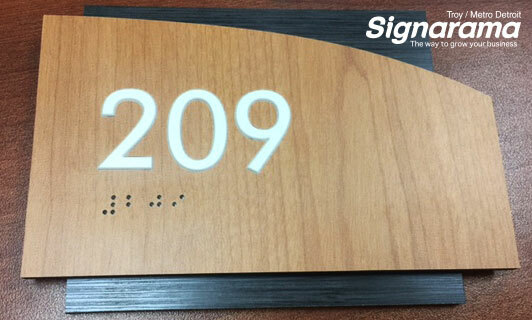 The expansion has given our team the ability to produce custom engraved, ADA compliant signage all in house! The technology for 3D printing has grown tremendously in the past few years, & Signarama of Troy has stayed up to date with the most recent machinery needed to create these custom signs. ADA signs have very specific requirements that require a high attention to detail. 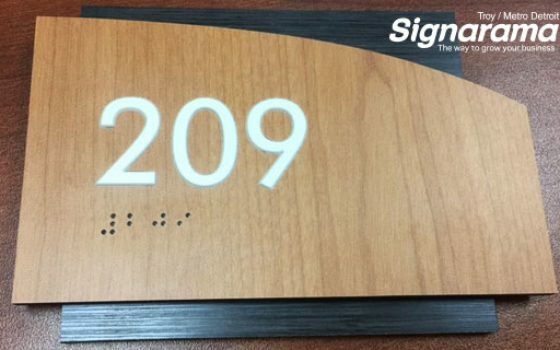 Your sign experts at Signarama Metro Detroit have years of experience working with architects & construction project managers on every type of ADA sign imaginable in Detroit, & all over the country! The Americans with Disabilities Act of 1990 was developed by the United States Congress & was signed into law in July 1990. This act was created to ensure that all Americans have the ability to operate normally in society. This includes many types of signs that we have grown used to seeing. Signs that include handicapped parking, wheelchair accessible entrances, high-visibility ADA compliant directional way-finding signs & braille room plaques. Signarama of Troy has been working with architects & construction project managers for years & we take great pride in being a strong resource in the Metro Detroit area for all types of ADA signs! 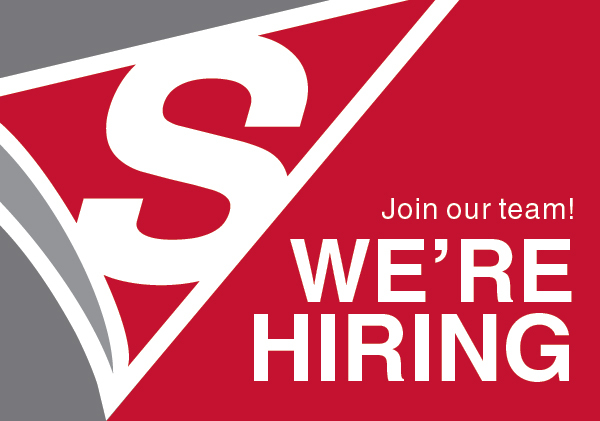 Contact Signarama of Troy / Metro Detroit or stop in our showroom to check out all of the products we can offer!